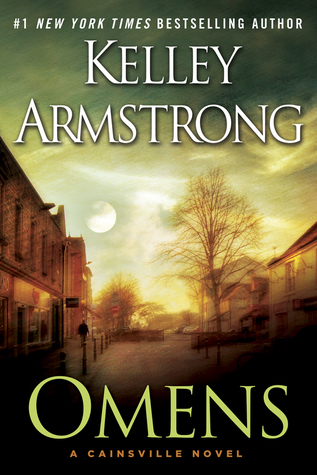 Omens is a fast-paced book with a nice mix of mystery and paranormal plot. Olivia Taylor-Jones grew up in a privileged family. She attends the right type of charity functions, works as a volunteer at a shelter, and is engaged to be married to a handsome, proper CEO with political ambitions. Her life couldn’t be more perfect, until everything falls apart. Reporters uncover that she was adopted and her birth parents are serving time for several heinous murders. Everyone has heard of the serial killers Pamela and Todd Larsen. Olivia just had no idea that she was their daughter. The scandal and zealous publicity hounds are a bit too much for her adopted mother and fiance – so Olivia flees. At first she tries to find an apartment in Chicago, but because of her reluctance to tap into her mother’s money, she has very limited resources. After a particularly unsettling experience in a cheap, but unsafe, neighborhood she takes the advice of an older man and heads to Cainsville, a small town just outside of the city. Cainsville is an old and cloistered community that takes a particular interest in both Olivia and her efforts to uncover her birth parents’ past. And Olivia feels strangely connected to the place. She lands a job as a waitress at the local diner and begins a rocky relationship with her birth mother’s lawyer, Gabriel Walsh. Walsh would like Olivia to help mend his professional relationship with Pamela Larsen – and Olivia wants to meet Pamela to find out about her past. In the course of investigating her parents’ alleged crimes, Olivia stumbles upon the truth about one of the murders. Poking around in the past puts Olivia and Gabriel in danger – but also brings the two unlikely partners closer. I appreciated that this one murder mystery was solved and I wasn’t left completely hanging at the end, though I know the story has many other issues to resolve. I’ll keep reading the series because I care about the characters and love the hints about there being something more than what meets the eye. If you are just now starting the series — lucky you! — the second book just came out. Visions provides additional material as to what is so special about Cainsville’s residents. I would definitely recommend picking up the book if you enjoyed Karen Marie Moning’s Darkfever series (Gabriel and Barron have similar personalities) or Richelle Mead’s Gameboard of the Gods. Tony Chu is a detective for the Philadelphia Police Department. He’s skinny, but for good reason. Tony is a cibopathic: a person who can see the past of every food he eats. For fruits and vegetables, that’s not so bad, but for meat it is another matter. The only food he can eat without distraction is beets, so he eats a lot of them. In the alternative world he lives in, all poultry products have been banned after bird flu killed over 23 million people. Tony and his partner track down black market chicken distributors and buyers like our police forces go after drug lords. While trying to do a major bust, Tony accidentally ingests some soup that the chef bled into while cutting the vegetables. His powers make him aware that the chef is actually a serial murderer with thirteen victims. 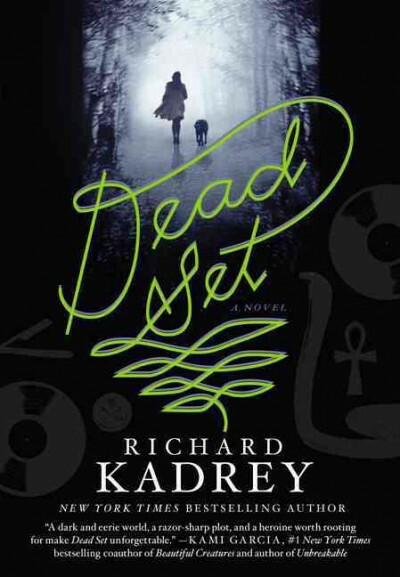 In his quest to find out more information about the murdered girls, Tony is caught chewing on the body of the now dead chef, which understandably leads to his getting fired by the police department. But he gets noticed by agents of the now very powerful FDA, who are very interested in using his gifts to solve murders as part of their Special Crimes Unit. Here’s the biggest part of the storyline you have to swallow (groan! ): Tony must consume parts of the people who have been murdered in order to gain clues. And not all bodies are fresh (or human) either. If you can get past the disturbing nature of this item, the story continues in a lively manner, drawing you in before you realize it. It’s partly absurd comedy, partly cop procedural, partly adventure, partly horror, and all entertainment. Winner of both Harvey and Eisner awards, this series is bizarre but compelling and enjoyable. It is recommended for readers of horror, humor, and graphic novels. Search the catalog for CHEW.